Oakville, ON. – March 8, 2012 – The award recipients of the 17th Annual Oakville Awards for Business Excellence (OABE) held March 7th at the Oakville Conference Centre were announced and recognized for their exemplary models of business excellence and community service at this prestigious event last evening. 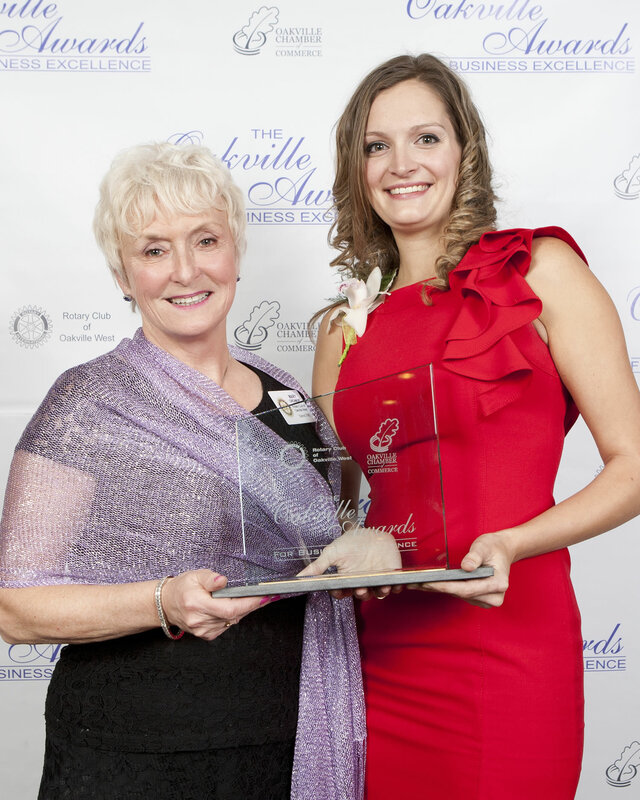 The OABE is a program of the Rotary Club of Oakville West in partnership with the Oakville Chamber of Commerce recognizing local entrepreneurs and businesses for the invaluable contribution they make to the Oakville community. Funds that are raised from partners, supporters and ticket sales of this gala event will benefit local youth. 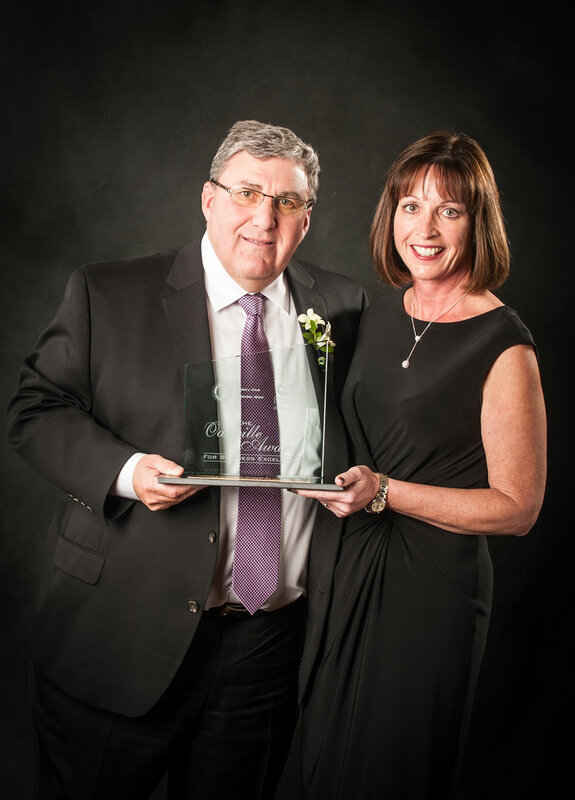 Thank you to the OABE Partners who presented the awards and contributed significantly to the success of the Gala, particularly our Platinum Sponsor Mr. Frank Apa, Lexus of Oakville, who has been integral to the success of the OABE for many years. 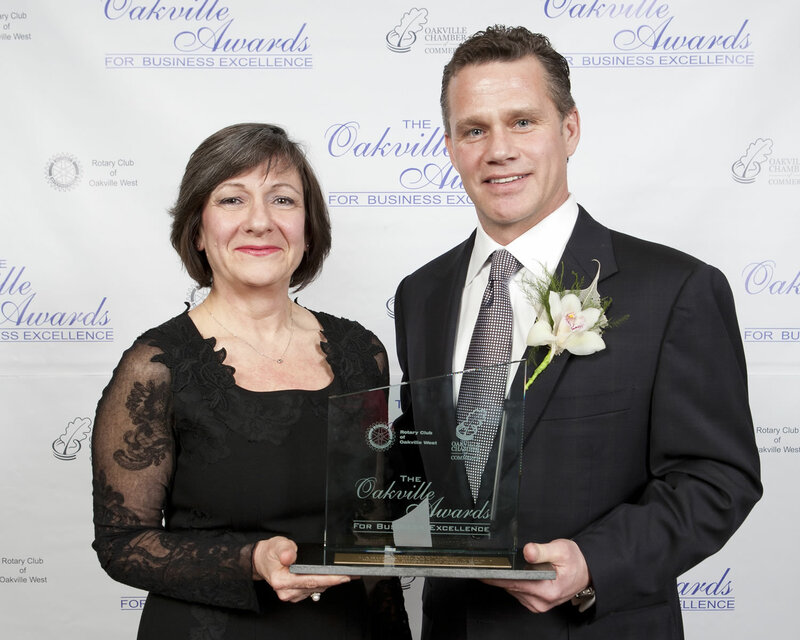 Lexus presented Oakville’s Entrepreneur of the Year Award. Thanks to OABE Diamond Partners Louise St. Pierre, TVCogeco, Roberto Ficzere, Edge Hospitality and Sarah Adams, RBC, who, along with Mary T. Cardamone, President of the Rotary Club of Oakville West and Wendy Rinella, Chair of the Oakville Chamber of Commerce, presented the five additional awards for business and community excellence. To the remaining OABE partners, Gold, Silver, Bronze & Supporting OABE Co-Chair Greg Duffy offers thanks on behalf of himself and Co-Chair Bonnie Anderson. “Without your contribution, this program would not be possible. 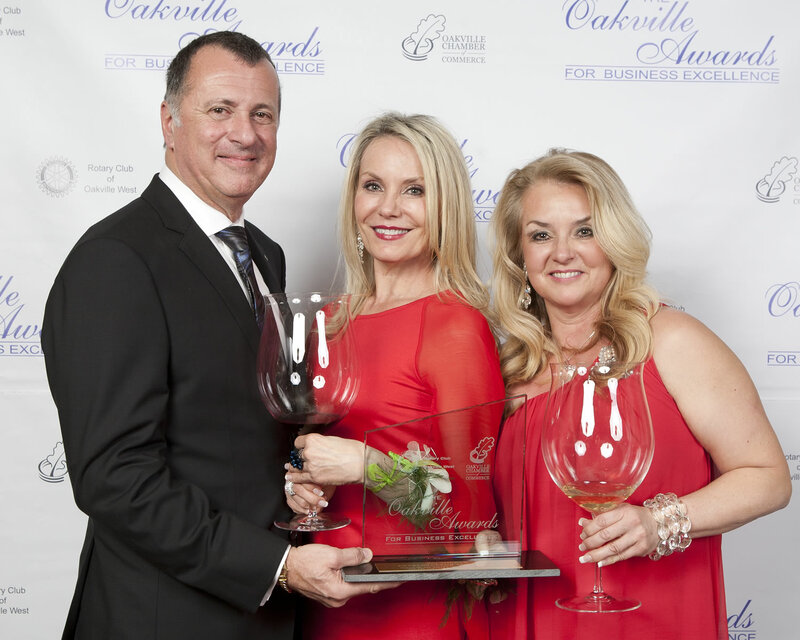 In excess of $40,000 from this year’s Gala Oakville Awards for Business Excellence will directly benefit local youth initiatives of the Rotary Club of Oakville West” said Duffy. 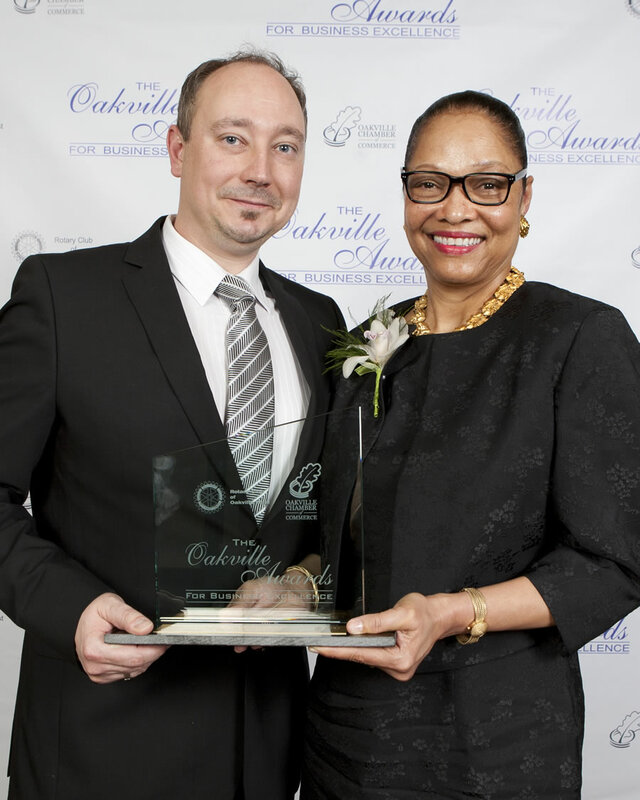 “Thank you for your support of Oakville’s dynamic businesses and entrepreneurs and for ensuring the development and empowerment of the young people within our community. You are making a difference!” added Rinella. Many thanks to all the volunteers who shared their time, talent and resources to ensure that the 17th OABE was a memorable evening for all the nominees for business excellence of 2011. Your dedication and commitment is most appreciated. Congratulations once again to the six award recipients and all the 2011 nominees. You are all exemplary entrepreneurs and businesses who give back to community and set example not only for our young people, but for everyone. You are the heroes of the OABE. Thank you. 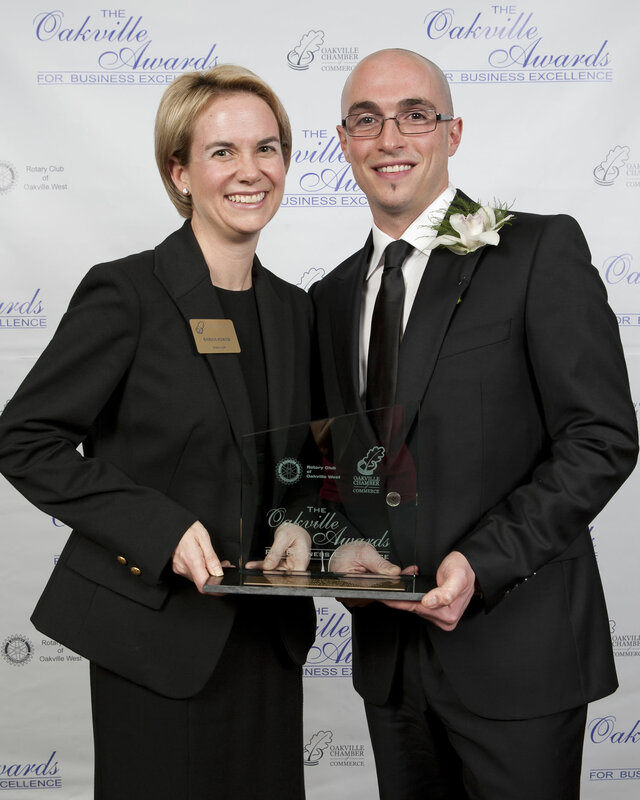 The OABE is a program of the Rotary Club of Oakville West in partnership with the Oakville Chamber of Commerce. Working together, the two groups have grown and refined this premier event that is now in its 17th year. With the success of the OABE program through sponsorship and ticket sales, Rotary Club of Oakville West receives the financial resources necessary to support the many youth initiatives of the local service club. Everyone benefits from this wonderful program with approximately $40,000 going directly to youth development.